Well, this is another good Pagan Black Metal band. Yes, French one man band ASKRINN is one good name on the style, coming with this first album, “Hjørleifsljóð”, after the 2013’s Single “Fé Vældr Frænda Róge”. Of course this album’s music will remind us a lot of many names before, being its greatest charm the absence of folk musical instruments. The Viking atmosphere is given by the lyrics and some guitar riffs, but his efforts are focused on guitars, bass, drums and vocals, in a very harsh and aggressive way, sounding like ENSLAVED and FALKENBACH sounded in their first works. Aggressive vocals with some touches of BURZUM’s, the riffs are extremely good tasty, the rhythmic kitchen got some great moments… Yes, this is a fine album, indeed. The sound quality is very raw, and sometimes seems to us a bit “smoky”, and this really could cause troubles sometimes for the listener to understand what is going on after all. And ASKRINN’s work is too good, and could work better with a cleaner way. But let’s take this as the band’s first album, and is an independent one (and a better quality can demands a higher cost in studio or with a sound engineer, mind you all). Based upon Norse Iceland saga called ‘The Saga of Half’ (or ‘Hálfssaga’), the lyrics are in Old Norse to preserve the epic atmosphere of the ancient writings, and all five long songs are very fine. “Bjarmalandsfør Hjørleifs Konungs” is fine and full of changes in tempo, and have great riffs. “Hjørleifr Mægðist Við Hreiðar Konung” is introduced by clean guitars, giving a more melancholic touch (not a folk one, please), but so the aggressive assault comes with fast riffs and good harsh vocals, but the rhythmic kitchen does a fine work as well. “Frá Spám Marmennils” is slower than the previous tracks, with a more darkened feeling, but again with clean guitars arising, and with an oppressive atmosphere during all the song. “Frá Konungum, Hjørleifi Ok Hreiðari” is the shortest song, so it’s aggressive and fast, but don’t get the wrong idea, because the song has some variations in the rhythm. 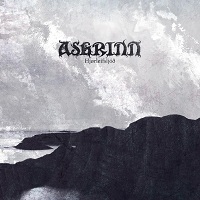 These four are ASKRINN’s songs, but to end the album we have “Hymn to the Forgotten Pagan Gods”, from BORNHOLM, with a more harsh and violent play here. Ok, it’s a fine album, but please, next time, with a better sound quality.